Let your dog relax in safety and style at the shows. 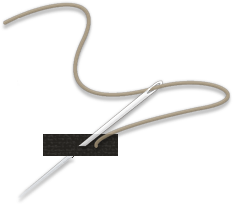 This pen and canopy is easily transported in padded shipping bags. The 4’ x 4’ awning breaks down and matches your drapes. 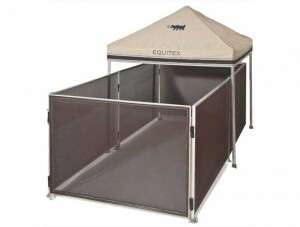 The 36” x 48” panels are made of sturdy aluminum framing and covered in coordinating mesh and Sunbrella trim. 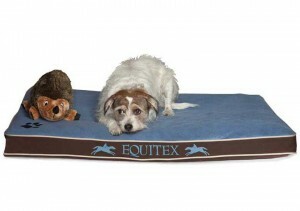 Add a custom dog bed to your pen or the back of your golf cart. 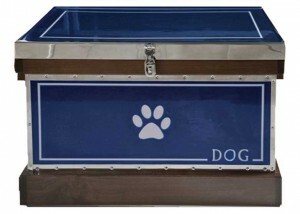 Great place to keep all your dog toys and treats available to match your trunks.